Consider learning French and supporting your child’s French education in 2014. The instruction includes a mix of conversation, grammar, verb tenses, activities in the workbook, listening to CD’s, French expressions to use at home with your kids, etc. 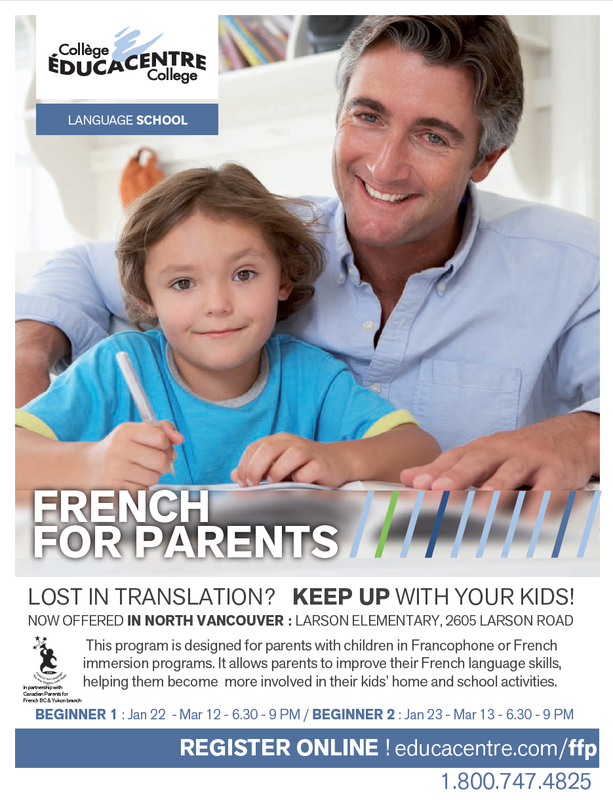 The instructor is currently teaching French in the elementary grades in North Vancouver and understands the FI curriculum. (Note: At the time of registration and payment, all participants pay the $189 registration fee. Upon verification of student’s active CPF membership, a $30 refund will be made to their credit card after the second week of the course). Purchase your CPF membership by following the instructions here and then register on-line at College Educacentre, www.educacentre.com.